Everybody loves cream cheese dip. 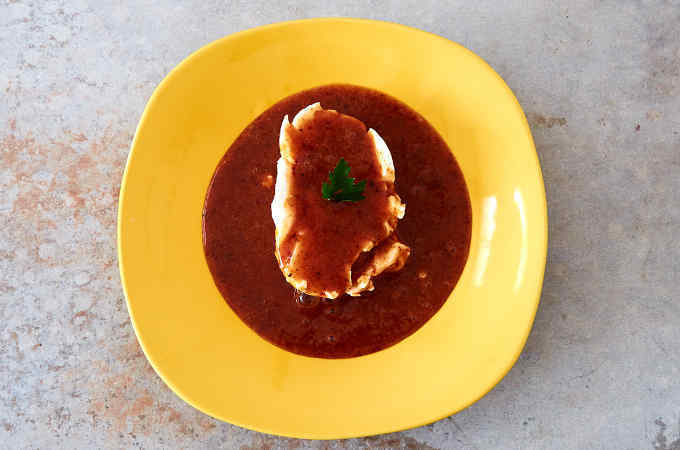 This one has the added kick of chipotle peppers in adobo added to the sweetness of strawberry jam. Did you know that chipotles are just smoked jalapeños? Serve it the next time you need a quick appetizer for a get-together. It’s a guaranteed hit. Preparation is super simple. Blend the strawberry jam with 1 or 2 chipotle peppers and 3 tablespoons of water until the chipotle is fully incorporated into the jam. 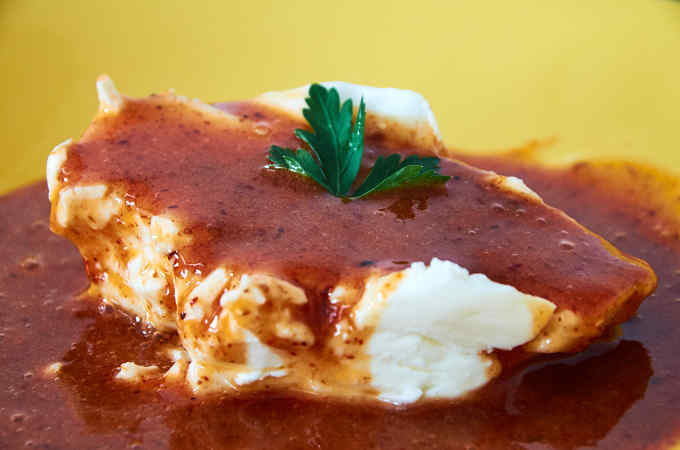 Place the cream cheese on a serving plate and pour the blended sauce over the cream cheese. Adorn with a sprig of parsley if you like. Serve with your favorite crackers or bread. 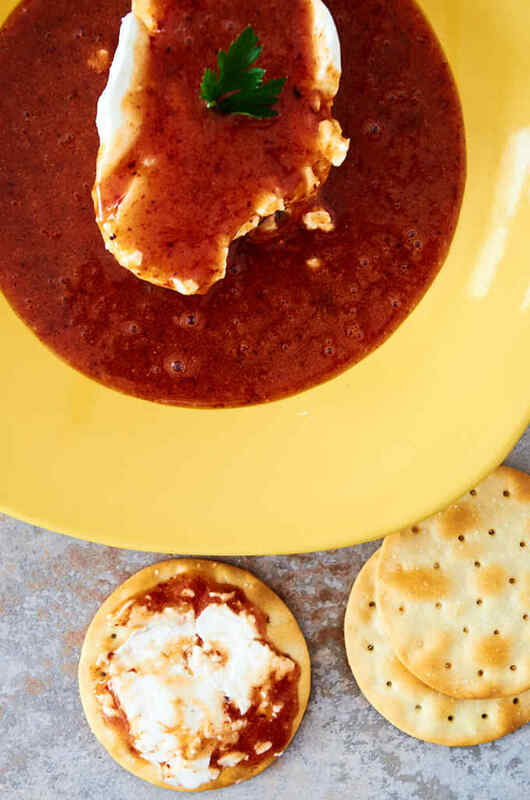 An easy to make spicy-sweet Mexican party dip prepared with cream cheese, chipotle peppers in adobo and strawberry jam. Preparation time is less than 5 minutes. 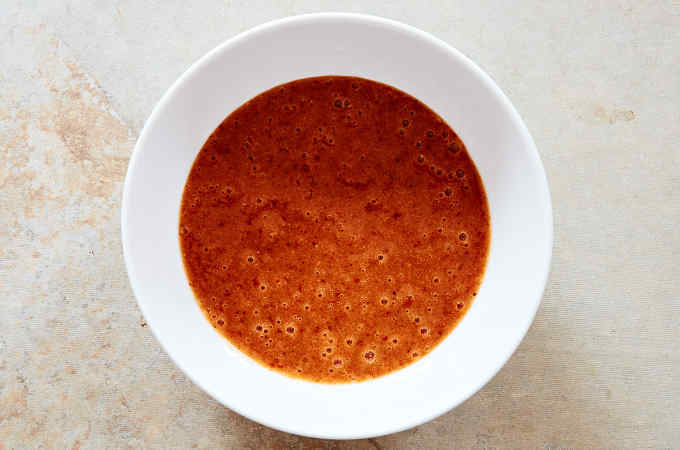 Blend the strawberry jam with the chipotle pepper(s) and 3 tablespoons of water. 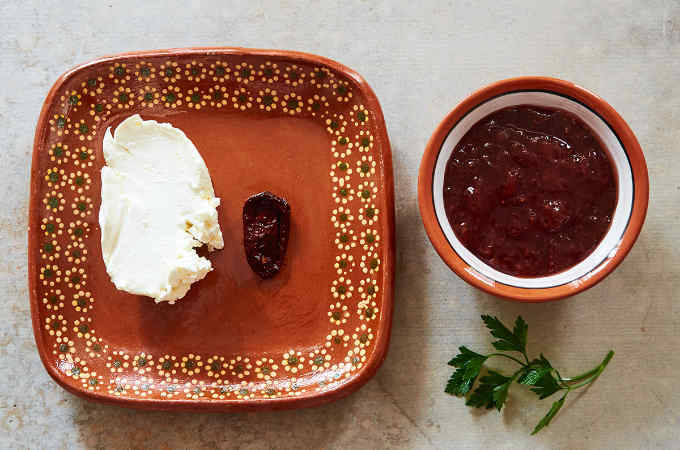 Place the cream cheese on a serving plate and pour the strawberry chipotle sauce over the cream cheese. 1 chipotle pepper makes the dip moderately spicy. 2 makes it quite hot. Very Interesting combo. Never would of thought to use strawberries. I’ll have to try this. So many amazing recepies on this site!! Thanks! !